Random thoughts, a gesture towards a personal theology. If ministry is not rooted in love of our fellow creatures, is it ministry? That sounds sort of like, “If a tree falls in the forest and there’s no one there to hear it, is there a sound?” If ministry is performed without love, _is_ it ministry? “Care is something other than cure. Cure means “change.” A doctor, a lawyer, a minister, a social worker -- they all want to use their professional skills to bring about changes in people’s lives. They get paid for whatever kind of cure they can bring about. But cure, desirable as it may be, can easily become violent, manipulative, and even destructive if it does not grow out of care. Care is being with, crying out with, suffering with, feeling with. Care is compassion. It is claiming the truth that the other person is my brother or sister, human, mortal, vulnerable, like I am. What C. S. Lewis would have us receive is the nurture that comes from loving. 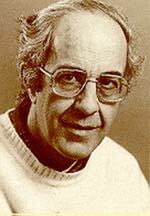 Henri Nouwen would call it care. Whatever you call it, it’s what prevents -- or at least postpones -- burnout in ministry. It’s what makes ministry “ministry,” not just do-gooding. I’d like to close with two rather unconventional -- and very brief -- prayers. You’ll note that these were written by authors who would never consider themselves to be spiritual writers. According to C.S. 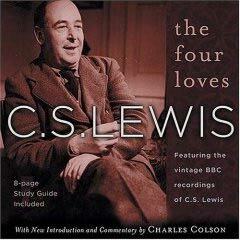 Lewis, there are four main loves: affection, friendship, eros and charity. The foundations of the four loves are what he calls the need love and gift love. In order to understand the four loves, one has to understand the need love and the gift love. The need love is that we have a "craving" to be loved, we have a need that needs to be fulfilled. Lewis states that "man's love for God, from the very nature of the case, must always be very largely, and must often be entirely, a need love" (3). On the other hand God is the divine gift. His gift of the son for the atonement of our sins was the ultimate gift. It is through the relationship of the need love and gift love that we are able to have affection, friendship, eros and charity. Gift love is the foundation of all loves. It was Christ's sacrifice, and gift to us that allows us to need his love. Lewis says that "divine love is gift love. The Father gives all He is and has to the Son. The Son gives Himself back to the Father and gives himself to the world"(1). By giving Himself to the world, Christ was also giving himself up to God. It was an act of love that allowed him to hang on a cross and die for our saving grace. It was the act, the gift of death that gave us love. Need love is that "we are born helpless. As soon as we are fully conscious we discover loneliness. We need others physically, emotionally, intellectually; we need them if we are to know anything, even ourselves" (2). This need of love makes us search out things in others that will help us to understand ourselves and fulfill our needs of being loved. "Affection can love the unattractive and it gives itself no airs. Affection does not expect too much, turns a blind eye to faults, revives easily after quarrels; just so charity suffers long and is kind and forgives. Affection opens our eyes to goodness we could not have seen, or should not have appreciated without it" (37). Affection is both a need love and a gift love. We need to be nurtured and we need the affection of others. In the same way we also give our affection to those around us. "Friendship arises out of mere companionship when two or more of the companions discover that they have in common some insight or interest which the others do not share and which, till that moment, each believed to be his own unique treasure or burden" (65). Friendships are not threatened when another person is suddenly a part of the group. It does not get jealous when another shares a mutual friend. Friends share the same truths and commonality between them. "By eros I mean of course that state which we call "being in love;" or if you prefer, that kind of love which lovers are "in." The lover desires the Beloved himself, not the pleasure he can give" (91). The sexual desire is a sensory pleasure, whereas eros is the desiring of the beloved. Eros is the wanting of someone specific, it is the desire for a person as they are and not what the person may have to offer someone sexually. It is a connection on a level that goes beyond mere physical needs. It is the giving of the self for the Beloved. "To love at all is to be vulnerable. Love anything, and your heart will certainly be wrung and possibly broken. The only place outside Heaven where you can be perfectly safe from all the dangers and perturbations of love is Hell" (121). Charity is the giving of ourselves for others and for God. It is the act of giving and sacrifice that we can love. It is being vulnerable and allowing ourselves to be wounded that we can freely give ourselves to loving others. Christ was the Charity and the Gift, and we are the receivers.